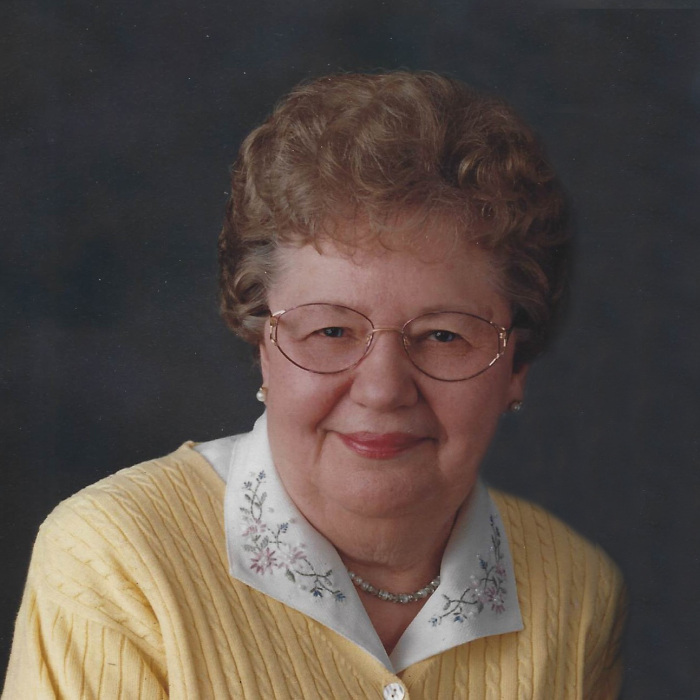 Eileen D. Strassman (nee Klemp) 85, of Brownsville, was called home to be with the Lord on Monday, October 29, 2018 at Agnesian Hospice Home of Hope in Fond du Lac, WI. She was born on December 1, 1932 to the late Ernst and Erna (nee Hahn) Klemp in the Town of Theresa. On May 23, 1953 she was united in marriage to Gordon Strassman at St. Paul’s Lutheran Church. She went to the Dodge County Teachers College and taught school at Hickory Grove School for 7 years. Together Eileen and Gordon farmed in the Town of Lomira for many years as they raised their four children. She was a member of St. John’s Lutheran Church in Lomira, Knowles Fire Dept. Auxiliary, and the Brownsville Community Club Ladies Auxiliary. Eileen enjoyed gardening, canning, sewing, and raising her four wonderful children. Family was the most important thing to her and spending time with them especially the grandchildren and great-grandchildren. She will be dearly missed by all who knew her. Those Eileen leaves behind to cherish her memory include her four exceptional children, Denice Krofta of Tomah, Christine (Daniel) Loest of Fond du Lac, Larry (Amy Timm) Strassman of the Town of Lomira, and Julie (Matt) Thelen of the Town of Ashford; eight grandchildren, Eric Krofta, Kevin Krofta, Ashley (Brian) Fisher, Kaitlyn (Russ) Zupan, Cassaundra Loest, Michaela Thelen, Hannah Thelen, and Jonathan Thelen; two great-grandchildren, Simon Fisher and Cole Zupan; three brothers-in-law, David (Grace) Strassman, Art Strassman, and Neil (Claudia) Strassman; many nieces, nephews, other relatives and friends. In addition to her parents, she is preceded in death by her husband, Gordon Strassman; a son-in-law, Daniel Krofta; two brothers-in-law, Allen Strassman and Roger Strassman; and her father and mother-in-law. A funeral service in remembrance of Eileen will be held on Thursday, November 1, 2018 at 4:00 p.m. at St. John’s Lutheran Church in Lomira. The family will greet relatives and friends at the church on Thursday from 2:00 p.m. until the time of service.